Used materials look good in the garden. A worn pair of shoes, an old denim shirt, and a weathered straw hat fashions any gardener in style. Making do with what we have also fits. A clean plastic paint bucket can suffice as a watering can. A web of string can create a lattice for climbing beans. A good-sized rock can work as a crude spade. Before my family forks out extra money for the garden, we look for free solutions. We’re good paying for rent, plants and seeds, maybe some lime and a new pair of gloves. For everything else, we try to make do. Mother’s Day, when we traditionally plant the garden, is a month away. Blizzards are pummeling the Midwest. Parts of our garden fence remain stored in the basement, the garage and the back of our minivan. Frost warnings continue to be a remote possibility this time of year, so we are making do, waiting to plant our garden. But this miraculous kiwi makes sense. I’m confident I can grow this food. We will be eating kiwi by the pint like cherry tomatoes. My daffodils are fading. The ornamental pear trees are in full bloom spreading their familiar smell throughout the neighborhood. I’m enjoying the bright yellow forsythia and the bunches of red and yellow tulips I see strategically planted in several flower beds on my warm-weather walks around the block. Planting season is upon us, and I can’t make do without this kiwi. My son scolds me in exasperation when he finds the plant still in the box next to the receipt on the kitchen table. He helps me find a pot and some gardening soil. He nurtures the plant and monitors its water intake. I softly talk and sing to the kiwi each time I walk by, encouraging its growth. But over the next few days its single green leaf falls off the plant, which now looks like we stuck three straight, dark pretzel sticks from a cup of salty party mix into the dirt. So much for my dreams of growing an abundant crop of kiwi the size of grapes that I don’t have to peel. We’ll have to make do without kiwi. But we can make do with plenty of other items in the garden. Our shovel and rake remain reliable tools each year. Our plastic green watering can survives its annual use. And the sturdy-enough fence does its job. My family has been using the same plastic green fencing for the past five years. When rips occur, we close them up with twine or zip ties. We bought metal poles that same year and wish we had splurged on the taller ones. Each spring we acknowledge the taller poles would be better. But we make do and hammer our usual into the soil. Thinking we might indulge this year on upgraded poles, I check for prices. But they fall out of budget. We’ll just make do again. The day before trash pick-up, after we put our cans by the curb, my son goes for a casual afternoon bike ride through the neighborhood. Later in the evening, we go for a walk. We alter our usual route to do some “curbing.” On his earlier bike excursion, he saw a wooden platform covered in turf grass left on the side of the road that he thought would be perfect for a school project. 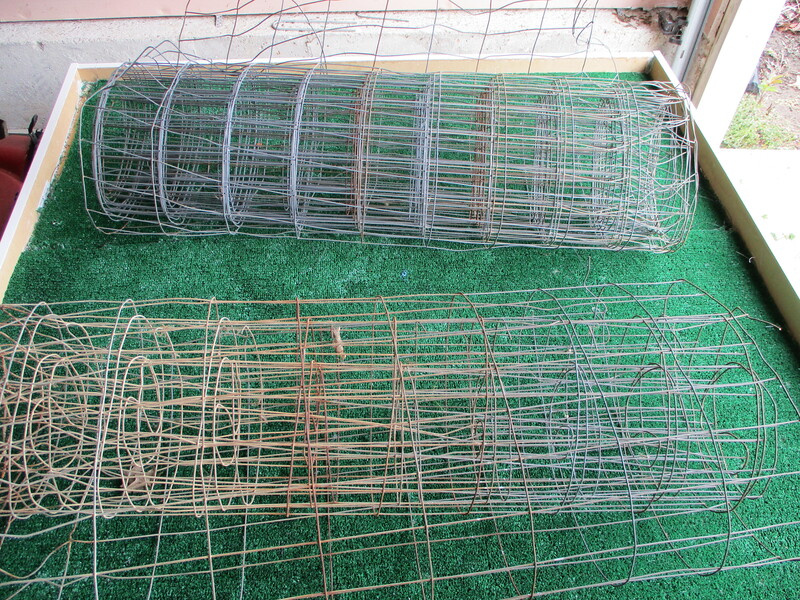 And a collection of garden poles and fencing was among the trash pile at the house next door to the discarded platform. He takes me to them. Looking at the collection, I agree that the battered merchandise looks good and at the right price – free. By the time we return with our minivan, the sun has set, and we use the flashlight on our phone to see what we are doing. 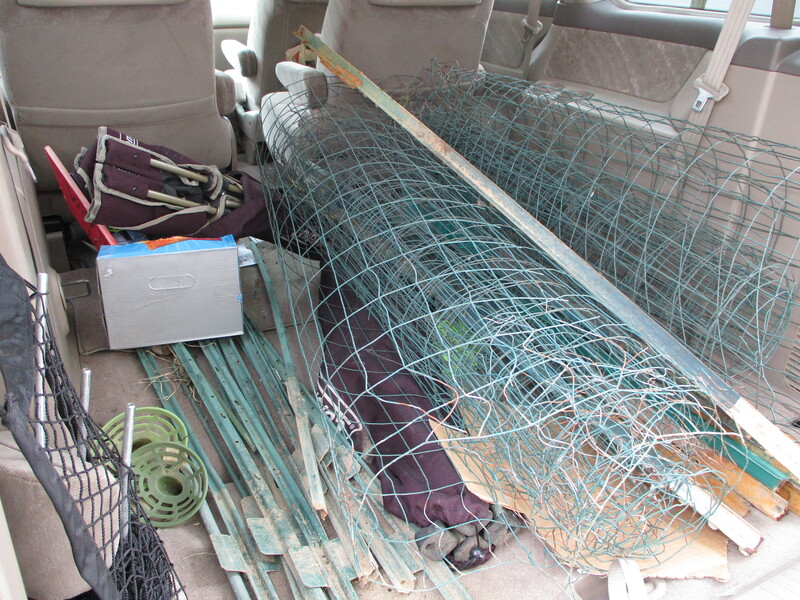 The homeowner emerges and helps us load his discarded poles and fencing into our vehicle. We plan on giving his stakes and fencing at least five more years of life in the community garden. But if they turn out to be flawed or unusable, that’s OK. We’ll engineer a solution – and make do. 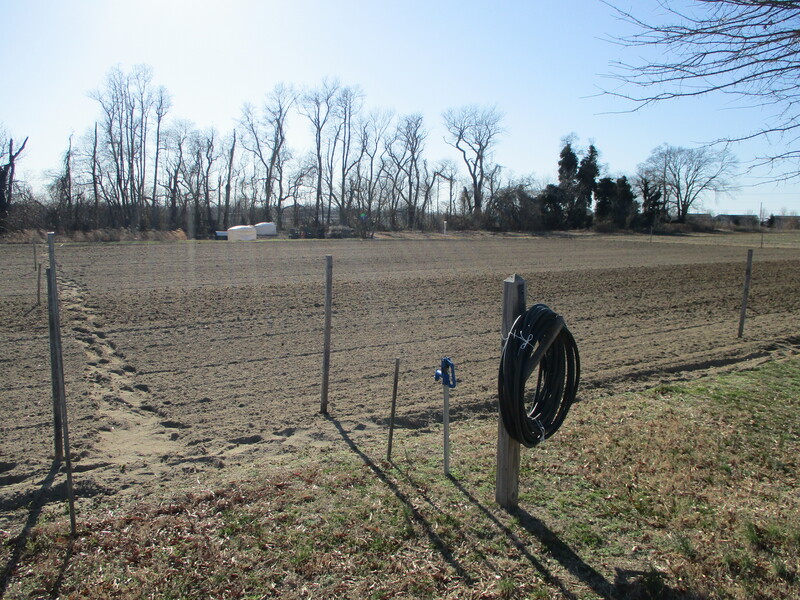 The coordinator sent a photograph when he announced that the community garden was plowed and ready to grid for the new season. But I wanted to see the progress for myself. I parked in my usual spot near the trash bins. The farmer who volunteers his time each year to prepare the land did a great job. His important contribution is always appreciated and sets the stage for the new year of gardening. The view looked much like the picture. The arrangement of the garden grounds remained similar to previous growing seasons. But something was missing. The leafless branches and solid trunks of the tree line that borders the back of the land looked gnarled and reaching like upside-down plant roots. But the size of the garden seemed right, and the space they protected looked tidy. Someone had taken care of the overgrown vegetation around the decaying walls of the compost pile and stacked new pallets in front for refurbishing the fence. I saw a new birdhouse perched on a white post. And two plastic tanks, once used to store water for the garden, sat like fake igloos in the grass. The setting felt recognizable. The sun shone brightly in a cloudless blue sky but held back its warmth at 5 p.m.
Near the parking lot, a volunteer had coiled the water hoses in place by each blue-handled pump standing guard along the edge. A collection of gnomes, a picnic table, bird baths, and plastic chairs waited by the shed to be distributed throughout the gardens and underneath the shade trees after move-in day, which was yet to be determined. More of the familiar remained – a spinning pinwheel, dangling wind chimes, a gourd-shaped bird feeder, the mint garden. The message board needed updating. Still something was absent – the most important part. The community of gardeners. They were missing. But in a few weeks after the land is plotted, they will trickle in and bring the gardens alive with their fences, vegetable plants, personalities, knowledge; suggestions, truths, frustrations, pride; humming, digging, plans, change of plans; smiles, doubts, complaints, wonder; interaction, sweat, concerns, delights; happiness, muscles, acceptance, fatigue; and an abundance of spiritual, intellectual, and physical growth – all in the community garden. The experience is something I don’t want to miss. My mission today was to find a pot of white pansies to place next to my front door for the winter, but from my first stop to my last, the garden shops overflowed with mini-fir trees, holly bushes, natural swags, gift centerpieces, and pinecone wreaths. The greenhouse shelves lacked room for pansies. The only color in the flower area was green – green branches, green needles, green leaves – with touches of red bows or gold adornments. I felt a jolt realizing Christmas comes in 34 days. I crumpled up the paper scribbled with “something white to put in the planter next to the front door” and decided to start my holiday decorating early. But then I remembered Thanksgiving. The trees in my backyard have blanketed the ground with brilliant yellow, brown and maroon foliage. Each leaf that gently helicopters down reminds me that as soon as I scoop up the fallen mess with my rake and fill a wall of brown paper garden bags lined up by the curb, I’ll be seeing plenty of white by my front door, back door, roof, and garage in the form of snow. Still, I like to display a white plant at my home’s entrance year-round. I have a system. Spring and summer, I choose Petunias, Vinca, Geraniums, or Impatiens. As fall arrives, massive mums replace the dainty buds and move into the planter. Then, I seek white pansies to bloom throughout the winter. One year when I missed the mark, similar to this year, I resorted to putting a fake poinsettia on the porch and left the bogus white plant on display until spring. Winter lasts too long to be disappointed each time I stand in the cold, fiddling with my key, trying to get inside the front door, and looking down to see a plastic plant. My last stop in search of pansies was at a greenhouse full of blooming Cyclamen that are supposed to be “easy to grow,” but not outdoors in the bitter cold. They are indoor plants. I wanted one. I ventured further looking for anything white that could survive the bitter winter and came across Poinsettias in festive reds, marbled pinks and winter whites. Again, they are indoor plants. But their beauty was stunning. Then I came across a table full of hot pink Poinsettias for sale. Their color had the clarity and glow of LED lights. I reached out to grab the pot, and then I remembered. “Can I help you?” the garden worker asked. I reached inside my purse, and smoothed out the wrinkles of my crumpled paper. “I’m looking for something white to put in the planter next to the front door,” I read and asked her for pansies. But the plants had sold out. “I have a white cabbage,” she offered. I reluctantly left the warmth of the glowing Poinsettias and followed her through the green house, out a sliding back door, and into the cold afternoon. A few plain cabbages in black plastic buckets lay on the ground next to our feet. They reminded me of Charlie Brown’s Christmas tree if it were a cabbage. “They are a dollar fifty,” she said, willing me to take one and maybe them all. 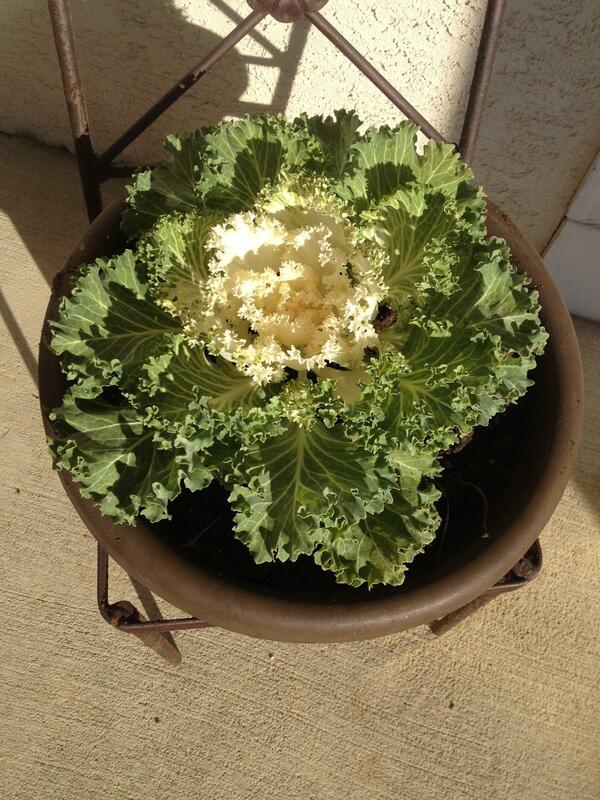 The white cabbage wrapped in its own circle of pale green leaves needed me, and I needed the cabbage. I brought the bargain home and planted the vegetable in a decorative pot to replace the dry and stiff brown mum that had faded in its treasured spot underneath the doorbell next to the front door. If by chance I find any pansies, I can plant them in a circle around the cabbage. As I fiddled with the key to get back into the house after arranging the cabbage, the colors of Thanksgiving popped into my head again. The cabbage seemed right for the season, and hopefully I could enjoy the unusualness of the plant greeting me at the door until spring. But as soon as my family has eaten all of the turkey, stuffing, string beans and sweet potatoes on Thursday, I’m heading back to the greenhouse to get one of those hot pink Poinsettias before they sell out like the pansies. Christmas is going to be bright. I heard a story on National Public Radio yesterday about how cannon balls have become a potential problem in Charleston, S.C.
Alexandra Olgin reported that these possibly dangerous relics from the Revolutionary and Civil wars become unearthed during construction projects, after hurricanes and sometimes randomly in someone’s backyard. Some of the artifacts contain black powder and need to be detonated. Digging in the dirt at the community garden, I often wonder what else has happened in my spot. Did settlers centuries ago try to grow a garden in the same location? What conversations have taken place on the land where I now discuss where to plant my corn and beans? Did anyone ever build a house on the property? Did someone famous like President George Washington ever step through my garden? Maybe he slept there. Every spot has a history. My dad used to talk about looking for native American arrowheads in fields near his house when he was a boy. In our rented garden, mostly I find plastic garden tags, zip ties and pieces of string that surface from previous growing seasons. 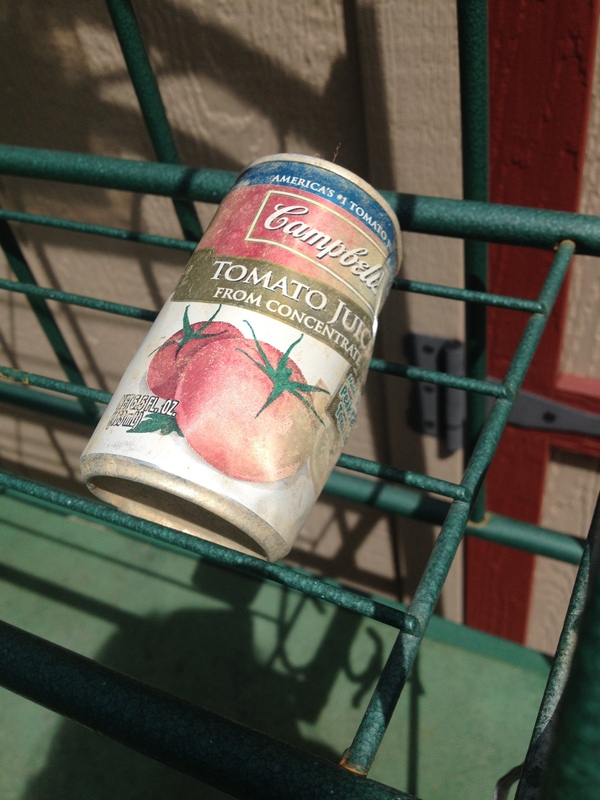 One summer I unearthed a tomato juice can, and I’ve removed buckets of pebbles and rocks. But I’ve never found anything historic such as an arrowhead and thankfully nothing remotely as dramatic as a cannon ball. Each year, I try to keep our plot clear of debris, not only for my present-day neighbors, but also for those who might pass through my spot in the future. Inevitably I’ll probably lose a button or drop a coin in the soil without knowing. If I do, I wonder who will find them. 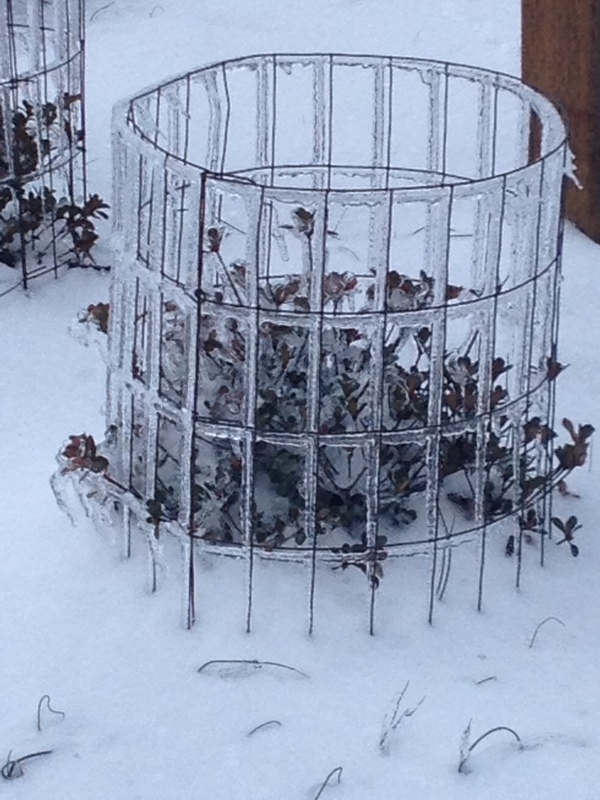 Last week, snow and ice glazed the local ground and trees after a Nor’easter rolled through, reminding antsy gardeners like me that winter wasn’t over. After town crews cleared the roads, I drove by the community garden to look at the plots. Snow roughly blanketed the flat vacant fields. Statues looked like someone had dipped them in ice. 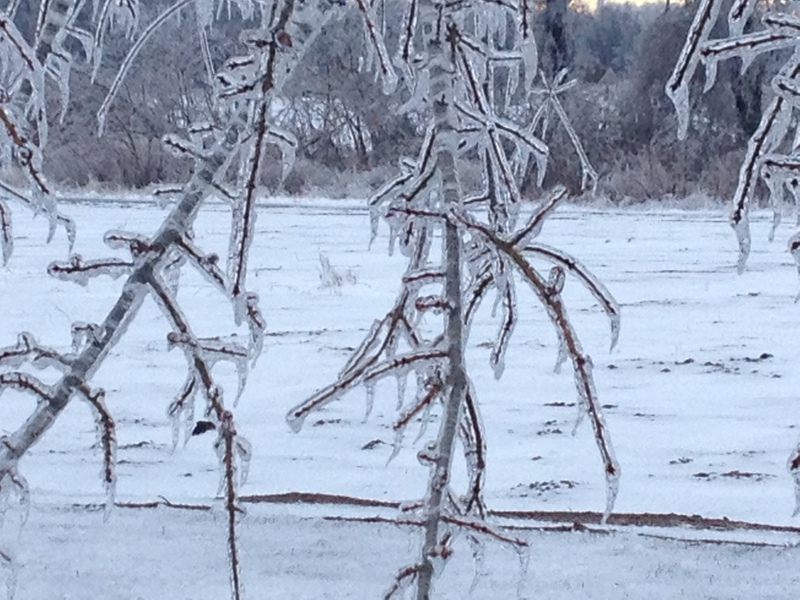 Fringed sleeves of clear frozen water dangled from the brittle tree branches and bushes. A few days later, conditions improved. The sun emerged and melted away the winter scene. I drove by the community garden again on my way to rent a space for 2017. St. Patrick’s Day with its promise of green seemed like a great time to sign up. The ground remained frozen, but the outdoor scene free of snow radiated with simplicity and sunshine. Tonight, the Green Thumbs are getting together to make plans for this year’s garden. I envision growing rows of beans and flowers, maybe an old-seed patch, and staples such as peppers, tomatoes, onions, and zucchini. Whatever we decide to plant, the ground can start to thaw now and temperatures can warm up. The calendar says spring, and we’re ready to garden. 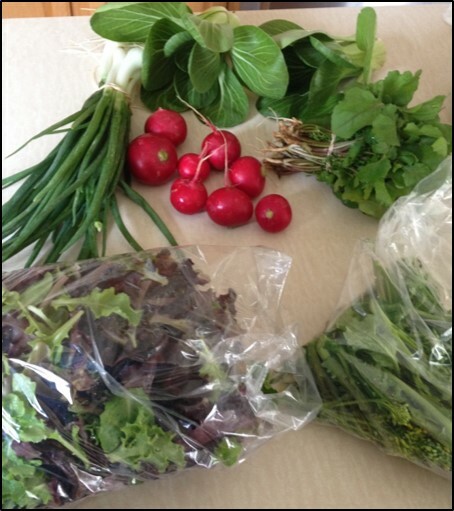 In addition to growing our own vegetables each summer, my family likes to join a CSA. A medium share each week from the Community Supported Agriculture complements our harvest and insures that if our novice efforts at the community garden fail, we will still sit down at the end of the day to a meal made from fresh, locally-grown food. The Green Thumbs have had success each year with the familiar crops of cucumbers, peppers, tomatoes, beans, squash, and zucchini. Our onions and lettuce have had good years and bad. Our corn quality was phenomenal last year. But our potato quantity fizzled. I like the security of knowing that a professional farmer is backing us up with the basics and growing vegetables less familiar to our garden such as broccoli rabe, beets and Bok choy. The weekly surprise of the CSA menu also interests me. Whereas I know what our family plants and how far along the vegetables are growing, someone else tends to the CSA farm. The grower sends us an advanced email of what to expect, but on busy weeks my first glance of our share is what’s written on the board in the barn at pickup. My youngest son likes to experiment in the kitchen, so the mix of vegetables from two different places offers him a creative challenge. He turns kale from the CSA into chips, and strawberries from the community garden into dessert. In between, he mixes vegetables from both places to create a tasteful stir-fry dish. A notice came this week that registration has opened for the community garden. In addition, my local CSA is accepting members. Our family plans to sign up for both. 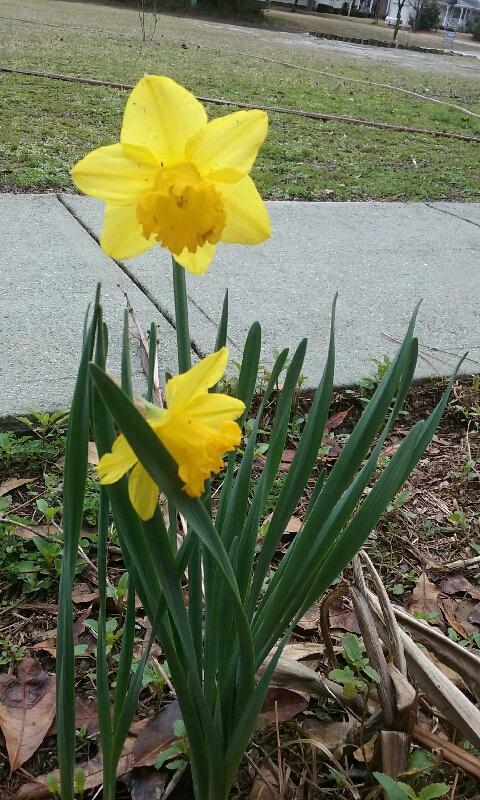 I failed to give my Southern sister a valentine this year, but the earth presented her with a row of bright, sunny daffodils. 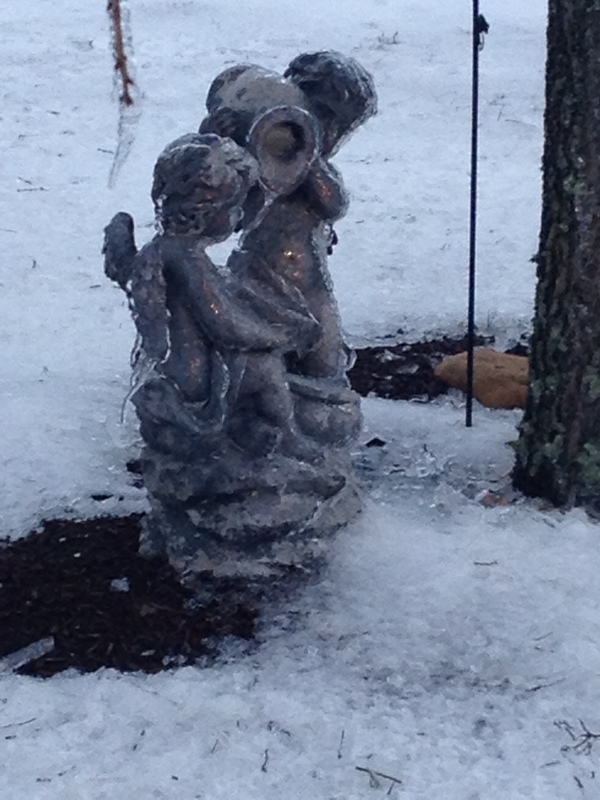 Happy Valentine’s Day sent from Mother Nature! On the edge of my sister’s yard, the upright, yellow flowers sway in the wind and give the thawing February landscape dots of warm color. But I live closer to Punxsutawney Phil, and the daffodils here are slower to bloom. Heeding the groundhog’s common prediction of six more weeks of winter, the flowers annually pace themselves, teasing me in February by poking their sturdy green stalks up from the ground but refusing to add their dainty yellow flowers until April. 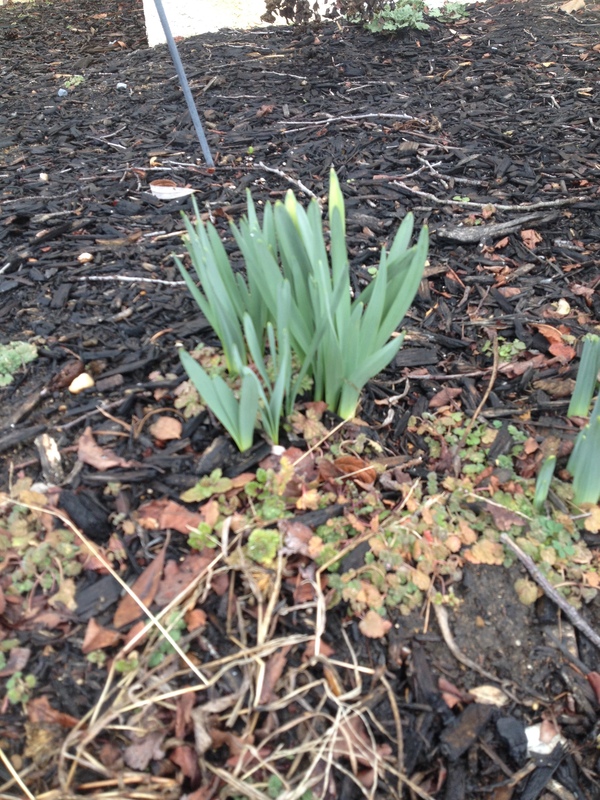 Still, the green stalks and this weekend’s record-breaking warmth remind me that April will be here soon. I best spend the next six weeks thinking seriously about the garden because once those daffodils begin to bloom in my yard, Valentine’s Day will be long gone and planting season will be here. Then I can follow Mother Nature’s example and bury seeds in the community garden to add my own dots of color upon the landscape. The stomach flu took me out last week with an intensity that convinced me I would never eat anything ever again. Even the fresh ice water with a straw that my two children took turns bringing to my room and leaving at my bedside posed a threat to my insides. I wasn’t sure which was louder, the wicked Nor’easter that rattled my windows or the intense migraine that pounded inside my head. Crackers, ginger ale, chicken soup, applesauce – I wanted no part of any traditional get-well-soon food. I told the kids to leave it all in the kitchen. But after a three-day, self-imposed quarantine, I emerged from my room feeling weak and cautious and ready to get water on my own from the kitchen tap. Sipping from my cup, I glanced around the room. Evidence showed that my teen-aged sons lived off cereal, Girl Scout cookies and take-out from the local gas station/convenience store while I was sick. In addition, their hunting and gathering for food must have left them no time to put dishes in the dishwasher or to take out the trash while I slept. Not wanting to face the housework, I considered another self-imposed quarantine to hide from my responsibilities. But then I spotted the Kalanchoe on the windowsill over the sink. I previously thought the plant was dying because it had produced nothing new – no leaves or flowers – for the past two months. Despite its stagnant existence, I had continued to water the plant, not expecting much to happen. But a small orange blossom, previously undetected, was quietly nestled within the thick green leaves of the plant. Its presence gave me a breath of hope. I sipped more water and felt the liquid’s coolness. I admired the dainty flower that thrived despite the consistent gray clouds of January. This blossom was strong enough to rise and join the living earth. If I wanted to follow suit, I would have to start by loading the dishwasher. I began by scrubbing the sticky cereal bowls and ignoring the overflowing trash can at the end of the counter. 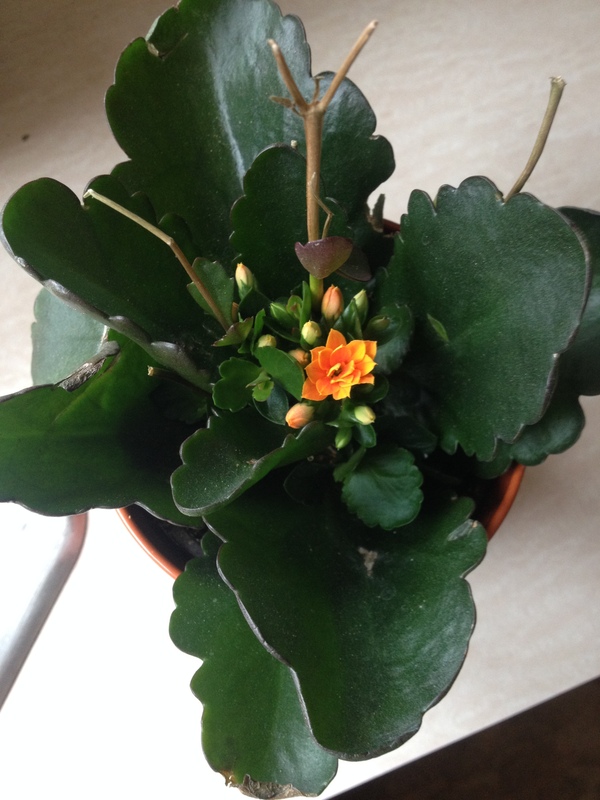 My orange Kalanchoe had revived, and so would I with more tiny sips of water. Still, my sons would have to take out the trash after school to ensure my full recovery – and the kitchen’s own revival, too. My first seed catalog for 2017 arrived in the mail on the same day my winter CSA delivery came this week. 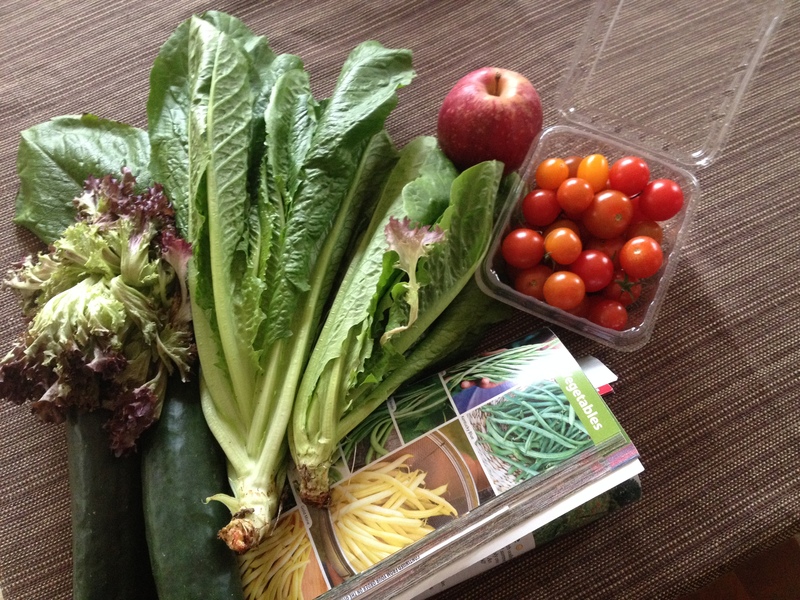 Opening the Community Shared Agriculture box was like unwrapping a gift. Inside were spinach, potatoes, lettuce, zucchini, cucumbers, cherry tomatoes, apples, and carrots. As I washed the crisp purple and greens leaves of the lettuce and admired the sleek, fresh skins of the cucumbers and zucchini, the convenience of having the healthy food dropped off at my doorstep each week became apparent and appreciated. I didn’t have to pull any weeds, worry about temperatures or rain, pluck bugs or get my hands smudgy. I just opened my door. I scrubbed the potatoes underneath a weak stream of water. Dirt washed away revealing a thin skin on the spuds that didn’t need peeling. I gave the carrots a bath, too, discovering a fresh orange color. I scraped the peel off, and a brighter orange was revealed. The carrots were thick and ugly, not at all shaped like typical bunches outlined in a children’s coloring book. But they tasted sweet and easily could be cut into edible discs. I washed the apples and spinach leaves and put away the red and yellow cherry tomatoes. Several salad combinations came to mind. Then I sliced the potatoes, adding onions and pats of butter to the dish, and set the oven to bake them for an hour. Soon, the smell of comfort food filled the house, and I sat down to browse through the pictures of vegetables and flowers in my newly-arrived catalog while the potatoes baked. The magazine enticed me. Images of healthy peas lined up in fresh pods, red tomatoes sliced in half, slick and round deep-purple eggplant in bunches and smooth yellow wax beans displayed in a sieve filtered through my fingers as I turned each page. I wanted to grow almost every fruit and vegetable that passed by my eyes. Then I viewed the flowers. Visions of Pansies, Petunias, Snap Dragons and Gaillardia captured my attention. I browsed through several pages of sunflowers. Words describing the flowers as “glorious,” “fragrant” and “easy to grow” jumped off the pages. “Easy to grow” is what I wanted to find. Descriptions of “disease resistant” vegetables also coaxed me to look unsuccessfully for “bug resistant.” I started to circle pleasant descriptions with a neon blue highlighter and dreamed of an “Easy Peasy” and “Perfecto” kind of summer garden this year. Soon, my potatoes were done. I put down the catalog and fixed myself a small serving. The baked potatoes tasted so good. I started thinking about the potatoes the Green Thumbs grew in our garden last summer. I picked bugs off our potato plants week after week leading up to a disappointing harvest. The potatoes were small and scarce. We could have bought a much better product at the local farm stand, although what we harvested did taste good. The experience, which fell short of expectations, made me hesitant to plant potatoes again, although the blue and purple potatoes I saw in the catalog raised my curiosity. I went back to circling descriptions such as “unstoppable productivity” and “produce in abundance.” Could a bean described as “easy to grow with no serious pests or diseases” be for real? I highlighted the description with two neon blue circles. My wish is for a lazy summer and a garden planted with simple-to-grow vegetables and a nice patch of low-maintenance flowers. Anything difficult to raise, I prefer to buy at the local farm stand — or have delivered to my door. But the idea of taking it easy is only a wish no matter what food the Green Thumbs choose to grow. Gardening requires dedication, persistence, and hard work. I’ve never met a successful lazy gardener. My teen-aged son has been filling up the family crock pot the past few days with different recipes for the new year. We worked together on his grocery lists. “Put down green peppers,” he said, turning the pages of my favorite cookbook. “Ok, add chopped tomatoes,” he said, moving his finger down the page. “They are the freezer,” I said. “What about squash?” he asked. “It’s in the freezer,” I said, putting down my pen. “Maybe I’ll make Eggplant Parmesan, too,” he said. 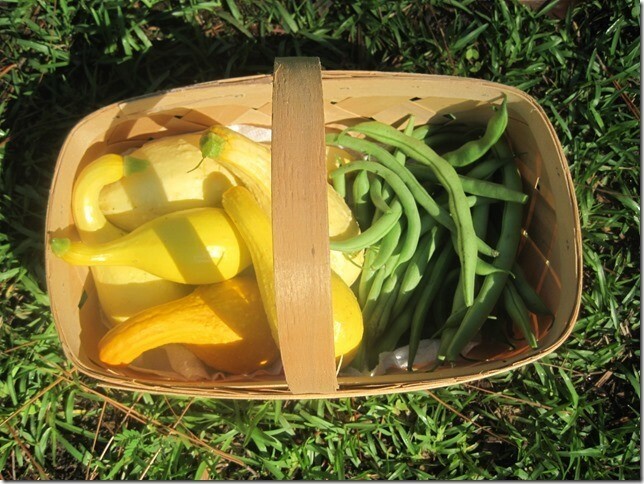 I also have zucchini, beans, onions and potatoes — all frozen from the summer garden. Digging past those foods, he will find packages of sauce, vegetable soup and stewed tomatoes made from our 2016 harvest and more freezer pickles than we could ever eat made with cucumbers from the garden. Looking at how much food we have stashed in our refrigerator freezer, with more in the basement freezer box, I realize I’m a garden hoarder. Most of the food we put away from the garden remains uneaten along with the pick-your own strawberries and blueberries we collected at local farms and frozen cranberries leftover from Thanksgiving. Maybe it’s good that we have those vegetables and fruits stored away as we resolve once again to eat healthy and exercise in the coming year. But it’s time for me to stop being freezer stingy. While others welcome 2017 with a Polar Plunge swim in the frigid sea, I plan to dive into our freezer and surface with some of the food I have been stockpiling. The taste of summer could provide great hope and comfort in the bitter days of winter when I don’t want to venture out into the cold to go to the grocery store. Here’s a toast for 2017: May the new year bring the taste of homegrown vegetables to everyone’s crock pot. May people everywhere share an abundance of desserts made with fresh local fruits! And may we all have successful gardens and good help in the kitchen throughout the coming year.